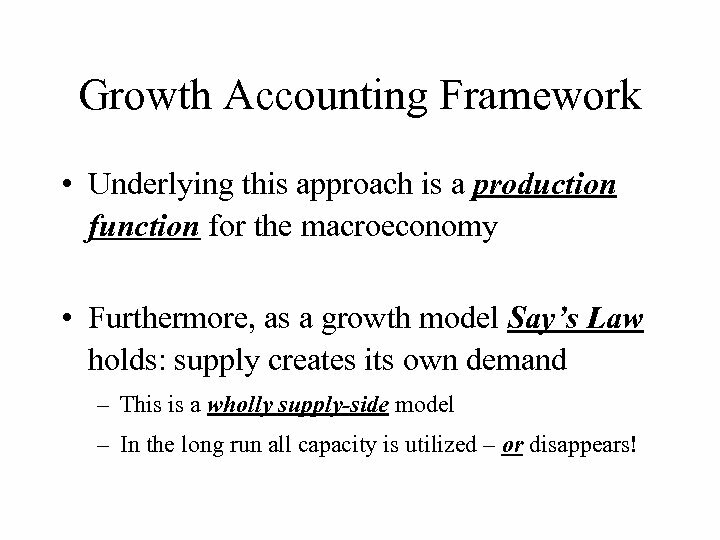 Growth Accounting Framework • Underlying this approach is a production function for the macroeconomy • Furthermore, as a growth model Say’s Law holds: supply creates its own demand – This is a wholly supply-side model – In the long run all capacity is utilized – or disappears! 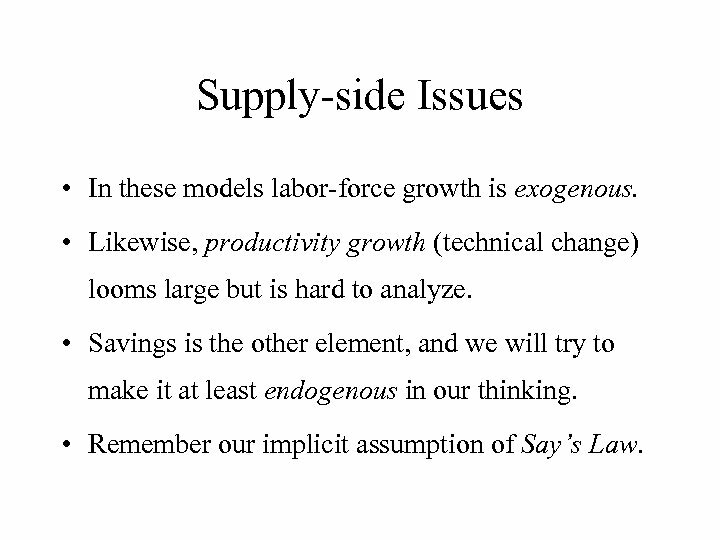 Supply-side Issues • In these models labor-force growth is exogenous. 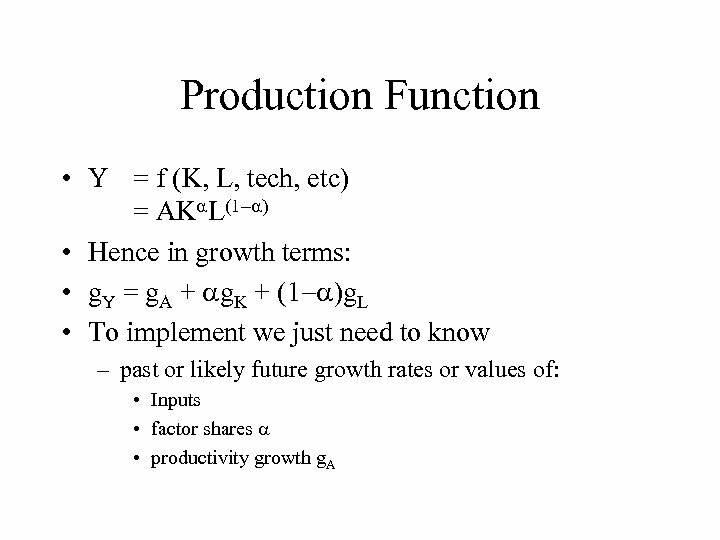 • Likewise, productivity growth (technical change) looms large but is hard to analyze. 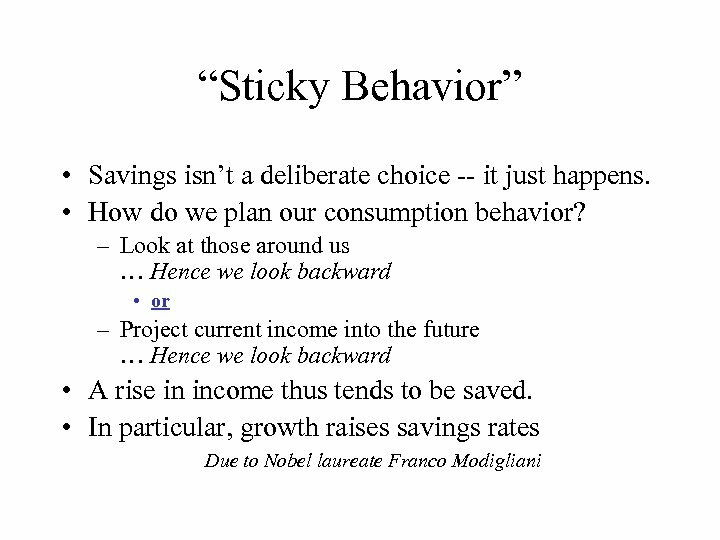 • Savings is the other element, and we will try to make it at least endogenous in our thinking. 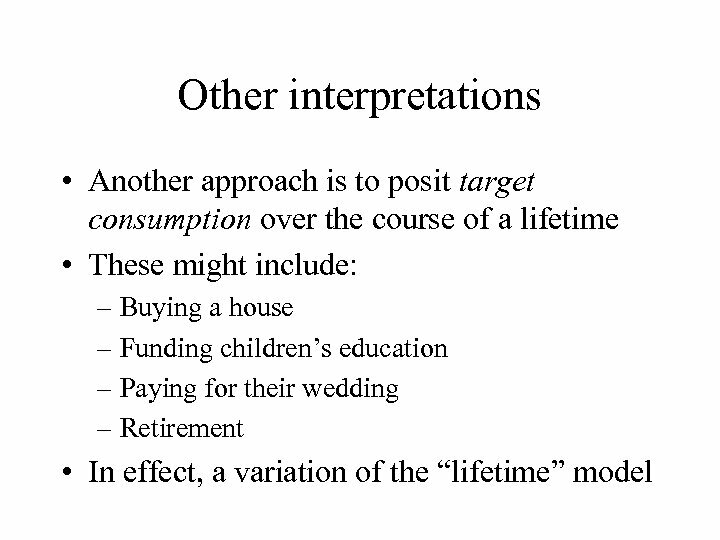 • Remember our implicit assumption of Say’s Law. 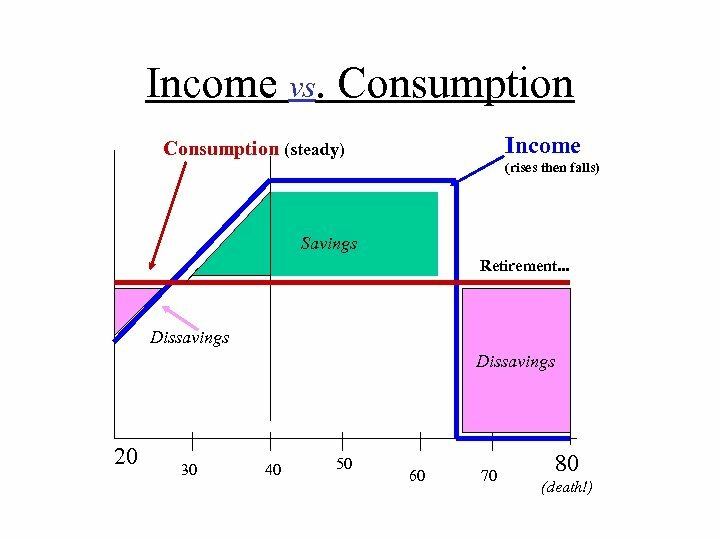 Savings • What determines savings? 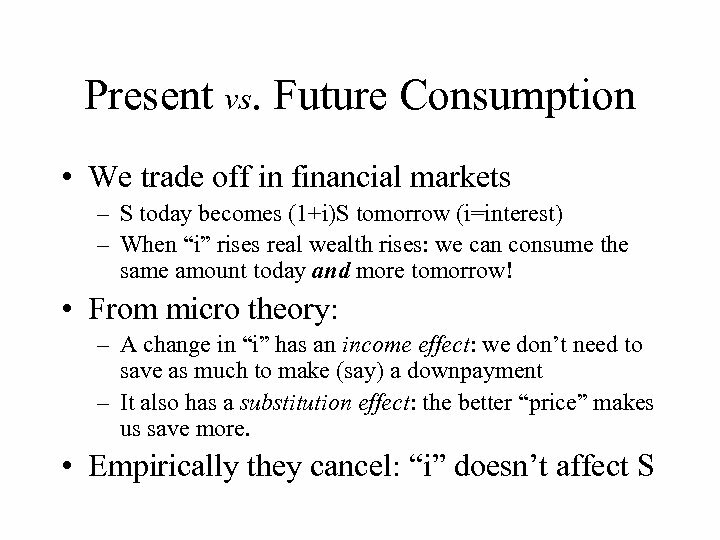 • Motives – Present vs future consumption • But no specific reason to believe we really trade off consumption today against more goodies tomorrow • Need more precise motives! 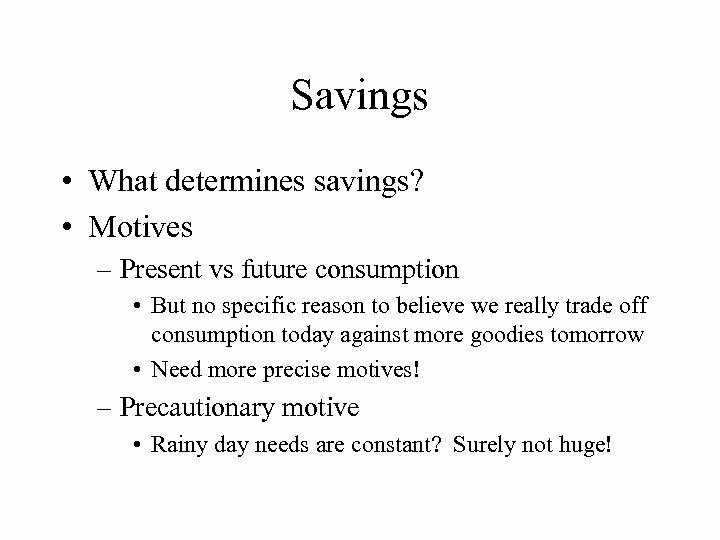 – Precautionary motive • Rainy day needs are constant? Surely not huge! 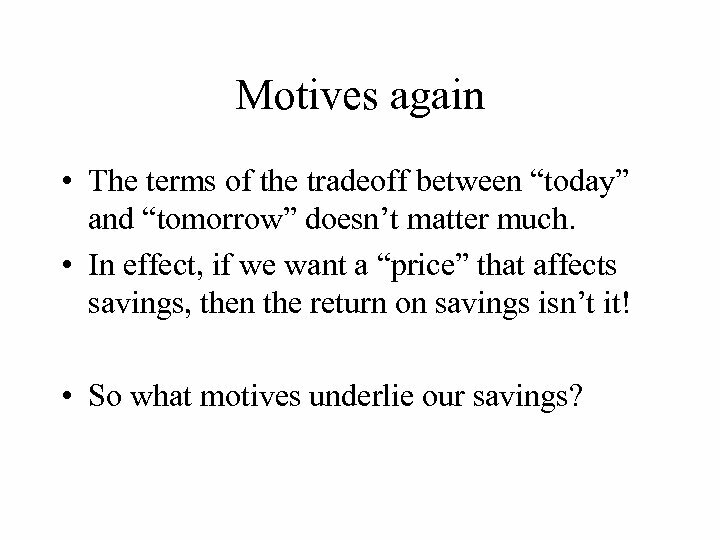 Motives again • The terms of the tradeoff between “today” and “tomorrow” doesn’t matter much. 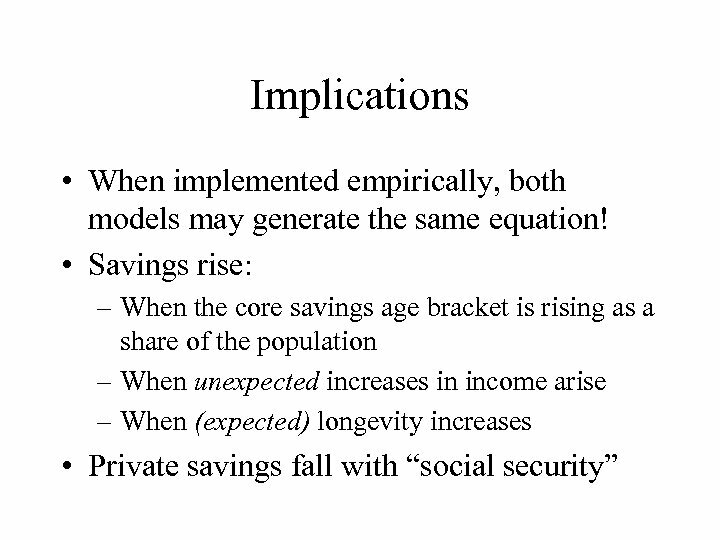 • In effect, if we want a “price” that affects savings, then the return on savings isn’t it! 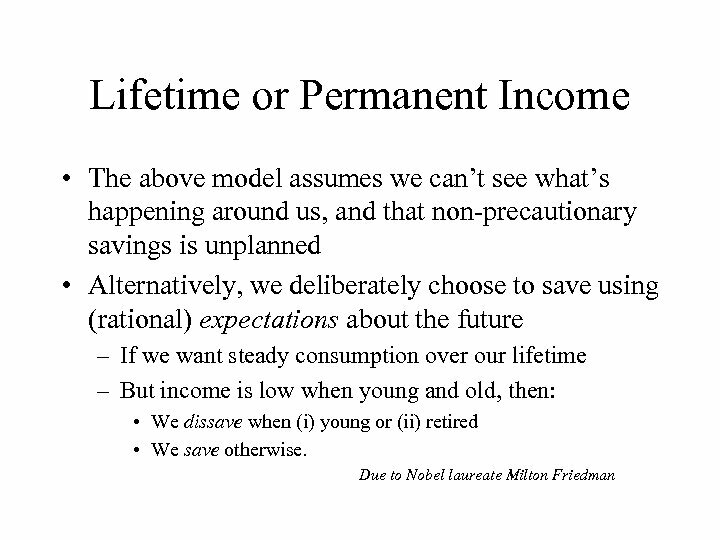 • So what motives underlie our savings? 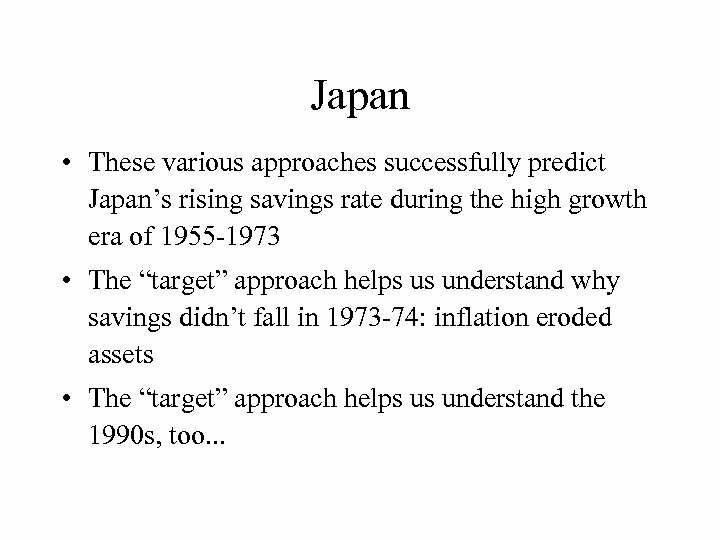 Japan • These various approaches successfully predict Japan’s rising savings rate during the high growth era of 1955 -1973 • The “target” approach helps us understand why savings didn’t fall in 1973 -74: inflation eroded assets • The “target” approach helps us understand the 1990 s, too. 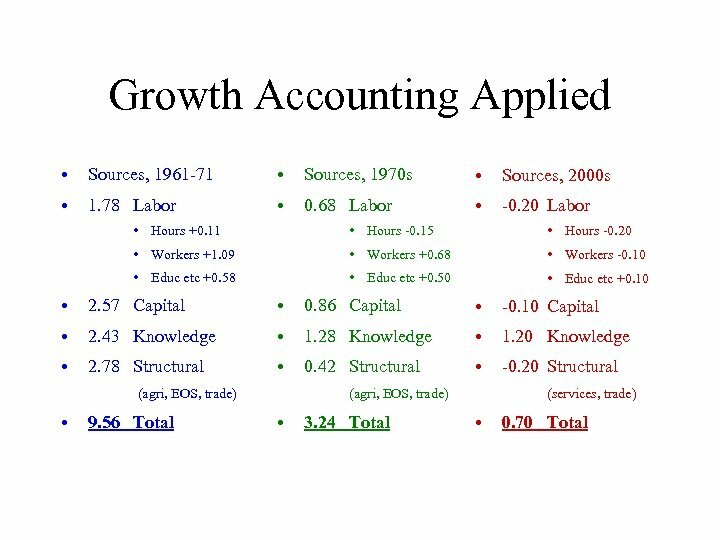 . .
Next: Sources of Growth • Was growth export-led? 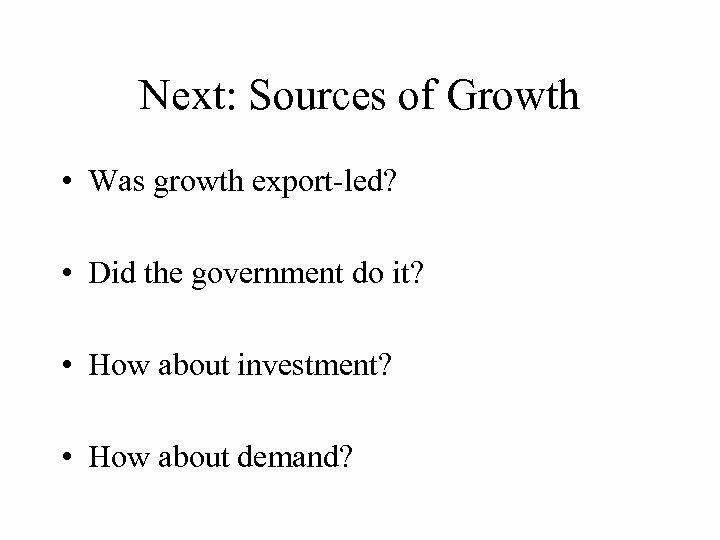 • Did the government do it? 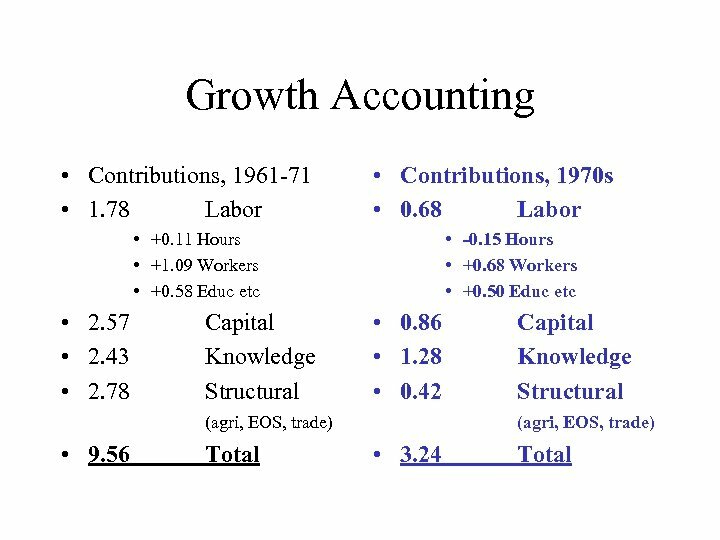 • How about investment? 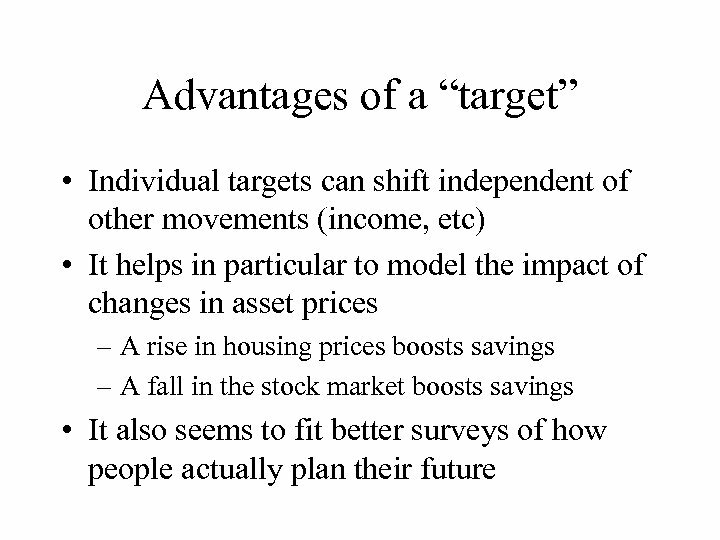 • How about demand?